Tuesday 8th September will see representatives from young shipping professionals' groups from across the world come together in London to debate what lies ahead for the next generation of the industry. 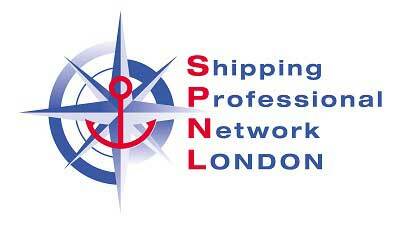 The Shipping Professional Network London (SPNL), London's own meeting place for young shipping professionals, is holding its biggest event of 2015 in conjunction with London International Shipping Week (LISW). The event is open to all in the industry and in the true spirit of LISW, SPNL has invited speakers from well-established international partner networking groups to join them for this special evening. With representatives invited from Athens, Copenhagen, Hamburg, Hong Kong and Mumbai, discussion will centre on the challenges and opportunities arising within the industry and how these differ across the world's maritime centres. Moderated by the Baltic Exchange and attracting attendance from across the breadth of industry sectors, the event promises to be thought provoking and truly insightful. Taking place at The Bloomsbury Ballroom and kindly sponsored by Bibby Ship Management, BIMCO and DNV-GL, the evening will continue with networking drinks and entertainment of a very ‘British-style'! SPNL Chairman, Claudio Chiste, remarked "We are not saying too much at the moment about what we have planned as we don't want to spoil the surprise." He continued, "To complement the international industry debate we wanted to really showcase the uniqueness of London and welcome all the guests attending from outside the UK with an evening that they won't get anywhere else. This is the most important event in the SPNL calendar and is set to be the event of LISW 2015." Chris Stone, Chief Operating Officer, of Bibby Ship Management said: "We are delighted to support this important and exciting networking event and look forward to an enjoyable and productive evening." The findings of the second "SPNL / Moore Stephens - Shipping Confidence of the Next Generation Survey" will also be announced during the event. A joint venture between SPNL and leading shipping accountant and consultant, Moore Stephens, the survey takes into consideration the views of both SPNL members and key players in the international shipping markets. The survey is the only one of its kind aimed specifically at sampling and indexing market sentiment amongst the next generation of the shipping industry.